A new multifunctional, flexible and comprehensive resource which aims to map out what a diagnosis of an Autistic Spectrum Disorder looks like for the individual concerned, their family and / or carers. 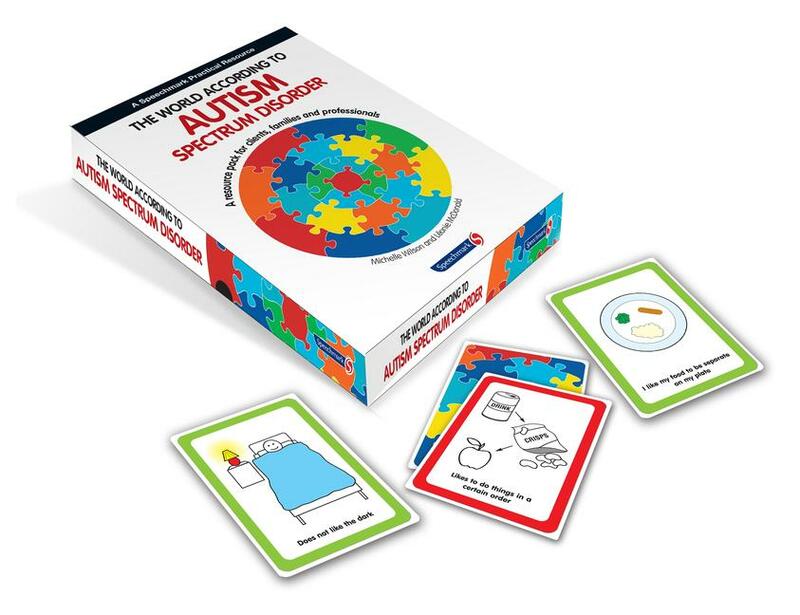 The resource facilitates conversations and promotes understanding of the key features of an Autistic Spectrum Disorder. The resource provides a person centred view of the individual that highlights their positive attributes to help promote self- esteem and encourage family and / or carers to see the individual rather than the diagnosis. All this is delivered in a structured and visually supported way which is consistent with the preferred learning style of individuals with autism. Features of the pack include: 2 sets of colour coded cue cards which target the audience with which the resource is being used (e.g. the individual, family or professionals); and worksheets to use with the cue cards ("Like Me, "Not Like Me" and "Special Things About Me"), which can be printed when completed. Copies of these worksheets can be shared with family and friends to increase understanding. The resource is designed for use with individuals of all ages.